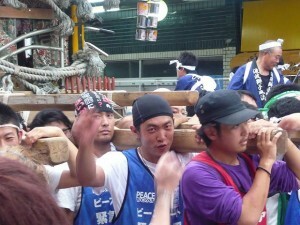 On July 26, “Corrida por Japon” or “Let's run for Japan” was held by the Japan Chamber of Commerce in Paraguay. 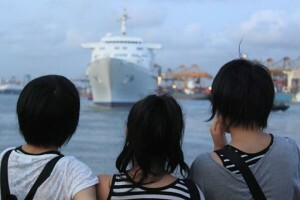 Funds collected by the 1000 participants were donated to Peace Boat for disaster relief. 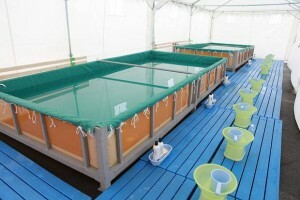 Two new public baths were opened on August 22. 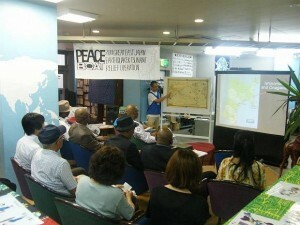 Constructed by the Ishinomaki Disaster Recovery Assistance Council, Peace Boat is now in charge of operating the baths. Volunteer positions for September now open! We need your help! 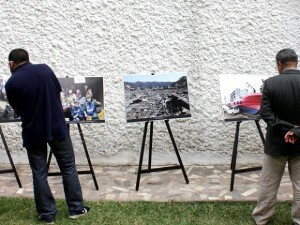 An exhibition of photographs from areas affected by the 2011 Great East Japan Earthquake & Tsunami was conducted in 19 ports around the world during Peace Boat’s 73rd Global Peace Voyage. 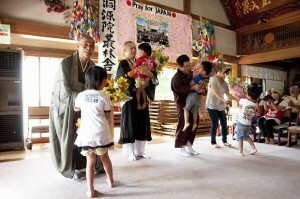 Finished collecting 800,000 Kinoya store “Cans of Hope”! The collection of the Kinoya store “Cans of Hope” has been completed! 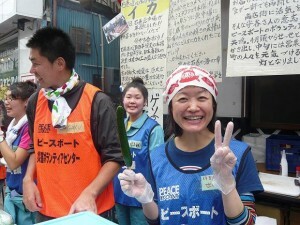 Peace Boat volunteers worked with factory employees to collect and sort the 80,000 cans of local seafood since June 28, 2011. 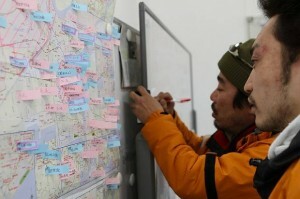 Peace Boat staff Kobayashi Shingo entered Ishinomaki on March 17, and for the past 5 months has been working daily to link governmental and civilian agencies and groups there. Charity cover of Coldplay’s “Fix You” released! 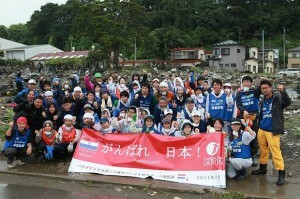 The Nigerian community in Japan have been actively involved in relief efforts, supporting Peace Boat's project for people moving into temporary housing in Onagawa, Miyagi Prefecture. 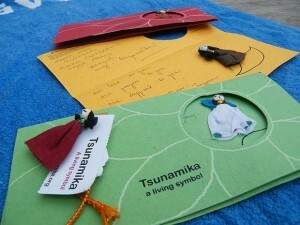 Survivors of the 2004 Sumatra tsunami gave many tsunamika dolls to survivors of the tsunami which hit Japan this year, as a gift of support and a living symbol of overcoming such difficulty. 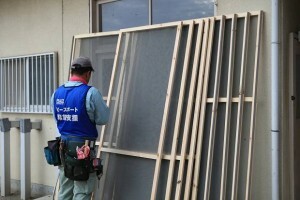 On the 2nd day of the Kawabiraki Festival, many high-spirited voices flew about the Ishinomaki shopping arcade, an area previously full of rubble now significantly recovered. 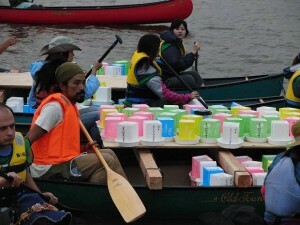 The Ishinomaki Kawabiraki (“River Opening”) Festival was held in Ishinomaki on July 31 - August 1, with volunteers working with the local community to create an event of memorial and fun.